Christmas blessings to all of you and your families. Leading in our work place comes naturally. We initiate, lead, communicate, are change agents and serve our constituents. Here are some thoughts on how to carry those leadership skills and gifts home and into the Christmas season. Churches need plenty of leaders and good leadership too. If you have a church home you regularly attend, check to see if they could use some last minute help before, during or after one of their Christmas services. Maybe one of the volunteers they counted on got sick or maybe the “usual suspects’ are out of town visiting family for the Holidays. If you don’t regularly attend a church, what better way to get to know some people at a church that might interests you. Either way, I bet they will be glad to hear from you. If you don’t regularly attend church, definitely catch a Christmas Eve service. Most churches pull out the stops to make visitors feel welcome and usually bless you with songs, drama, candles and a great Christmas message. You and your family will be touched in a special way. Festive family gatherings, great meals and lots of presents is a wonderful part of this holiday season. 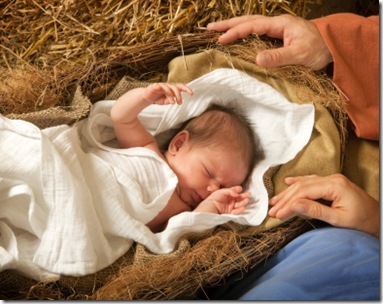 But the reason for the season is the greatest gift of all, Jesus, Savior of the world. In the hustle and bustle remind the family not to lose track of that. Growing up we did not go to church on a regular basis but we did have a bible in the house. On Christmas eve my father would read the Christmas story in Luke 2:1-20 by candle light during the calm before the impending storm. It helped us with item 3.) above, and it became a tradition I treasure even more today than I did as a little kid. Maybe it’s time to change up your Christmas a little and introduce this new tradition at your house. Meals on wheels for shut-ins, soup kitchens, gift deliveries to inner-city schools, caroling, secret delivery of a box of gifts or food to that single mom of two barely making it, a pair of gloves or a blanket or jacket for the guy who is always on that park bench, … You get the idea. Giving is more fun than receiving and there is nothing like taking attention off yourself and turning it to those less fortunate. Do something as a family that is age appropriate for the kids. Have a wonderful Christmas and consider one or more of these suggestions this Christmas season and maybe make them a permanent part of your family tradition. You will be blessed more by them than you bless others with them. Please comment and share any special Christmas traditions you enjoy.